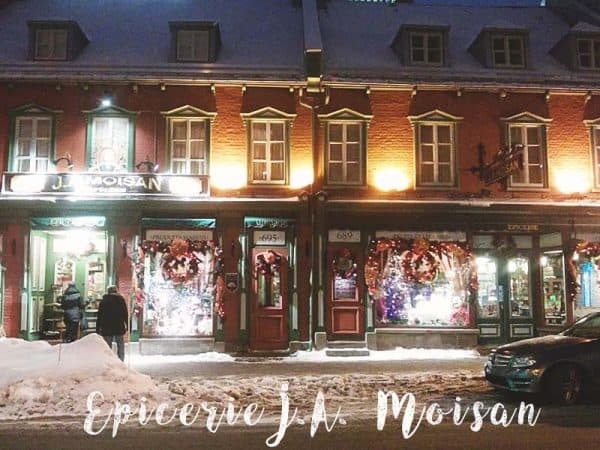 While daydreaming of European Christmas markets and longing to visit it was wonderful to realize that North America has its very own European Village. A historic city where they speak a different language with charming architecture & charm. Old Quebec at the holidays is a little bit of Europe that you may be lucky enough to be able to drive to if you live relatively close by. Hoping to make the drive in 8 hours but it ended up taking 11 hours because of the weather. We stayed in an Airbnb that was close enough to walk around the Old City. This was perfect since there was a lot of snow on the ground and streets. Driving to Ile d’Orleans gave a different point of view of the city, Montmorency Falls, and the St. Lawrence River. The Old Quebec is a Unesco World Heritage Site and the only walled city in North America. The city was settled in the 1600’s and is the first permanent French settlement in North America. The architecture is stunning any time of year, but during the holidays it really is a Christmas Fairy Tale. Many of the decorations stay up throughout winter so they can be enjoyed after Christmas also. 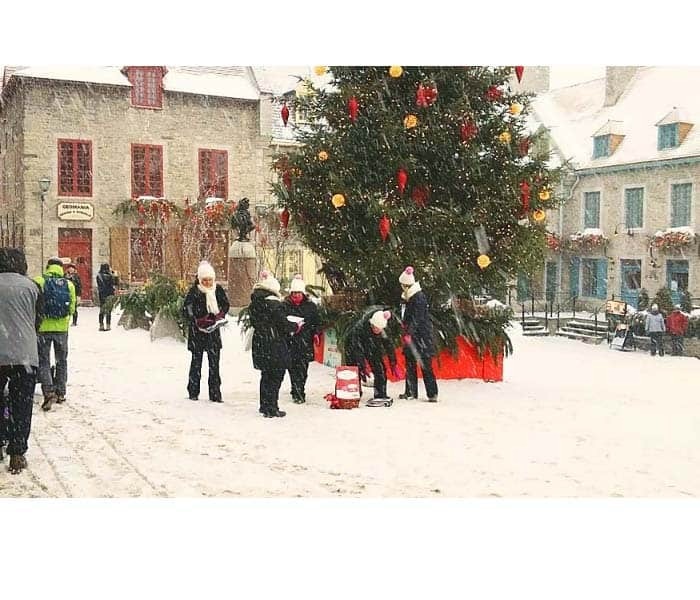 Stroll around the city and enjoy the Christmas market at the Old Port farmers market and the German Christmas Market in town. Everywhere you look will make you think you are in France but Old Quebec has its own flavor that makes it special. The smells of fresh baked pastries and coffee will help keep the chill at bay. There are so many great restaurants to try, but you have to make sure that you try Poutine. Poutine originated from Quebec and the original recipe are fries, gravy and cheese curds, although you will find a million variations. Definitely, NOT a light food, but is sooo good! Another must-try is maple candy lollipop that is made in the snow. Maple candy and syrup are everywhere in every form. A great place to find some souvenirs is at the oldest North American grocery Epicerie J.A. Moisen. This gourmet store is beyond charming with lots of premade specialties and located on the Rue Saint-Jean. The Rue Saint-Jean is where you will find a skating rink at the Place d’Youville, along with shops, restaurants, and historic buildings which are plentiful. 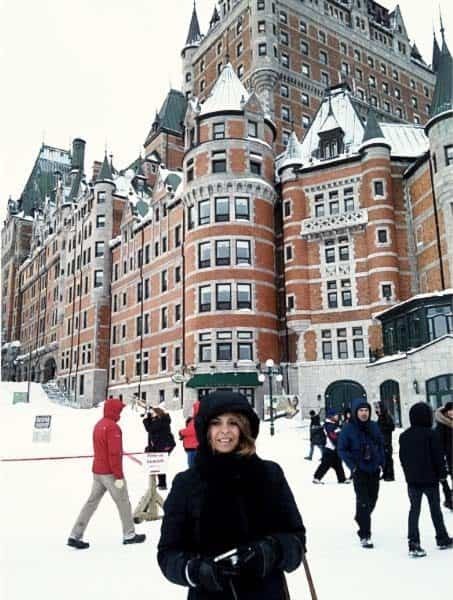 Chateau Frontenac is the crown jewel of Quebec this amazing castle hotel is decorated beautifully. The interior lobby was filled with many Christmas trees in different styles and decorations. You do not need to be staying there to take advantage of the shops or the Starbucks. 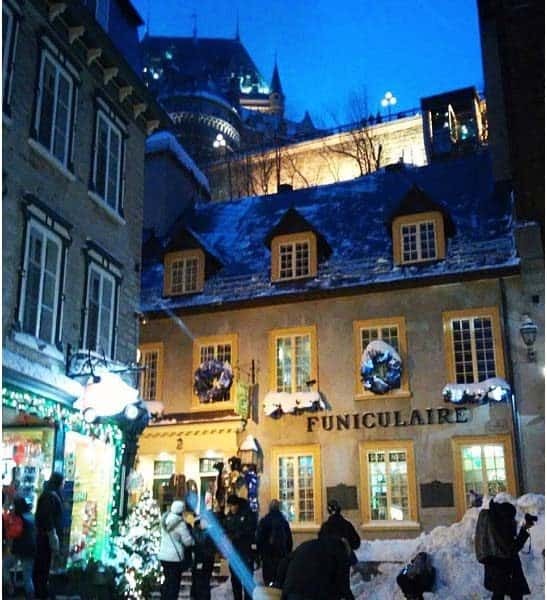 Next to the hotel is the famous local tradition of the toboggan run at the Dufferin Terrace. There is a wooden promenade that wraps around where you can take wonderful photos of the river. 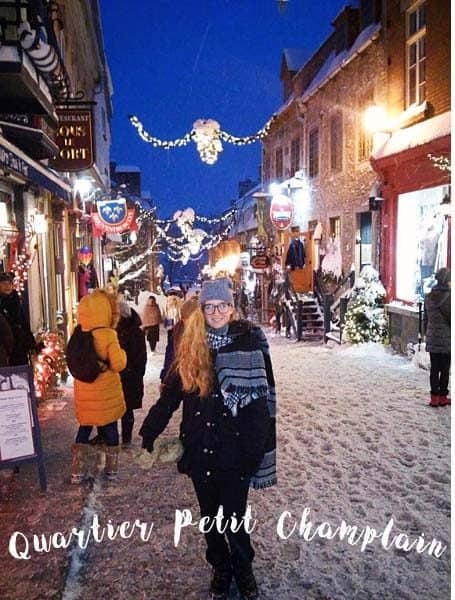 The Petit-Champlain is located close to the hotel and is a must visit filled with shops and restaurants and where you can take the funicular for spectacular views. There are so many sites including the Place Royale, Plains of Abraham and the Parliament Building that you can enjoy that are also near. P.S. If you are driving and park where there are flashing orange signs..move. You will get towed, they are removing snow. I wish I would’ve studied the signs more! This visit was so enjoyable and while I know it must be lovely in the warm weather, I still think my favorite time will always be when the whole city is dressed up and sparkling! High on the list for our next visit is the Hotel de Glace. The Ice hotel is usually open from Jan-March and looks like a one of a kind adventure. 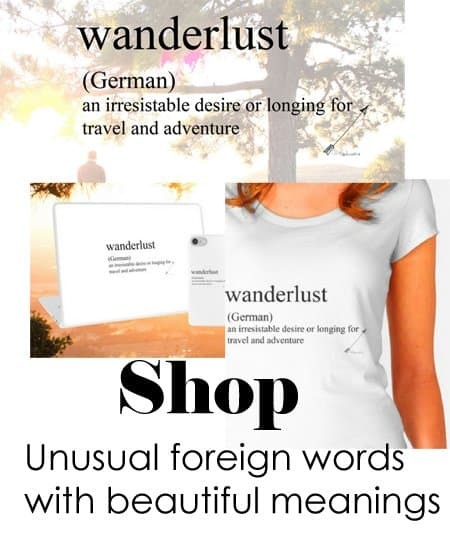 We have a print that will help you get cozy for the holidays!